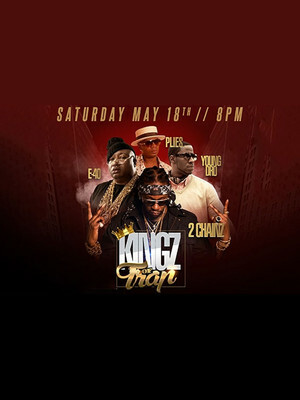 Why See Kingz Of Trap - 2 Chainz, E-40, Plies? 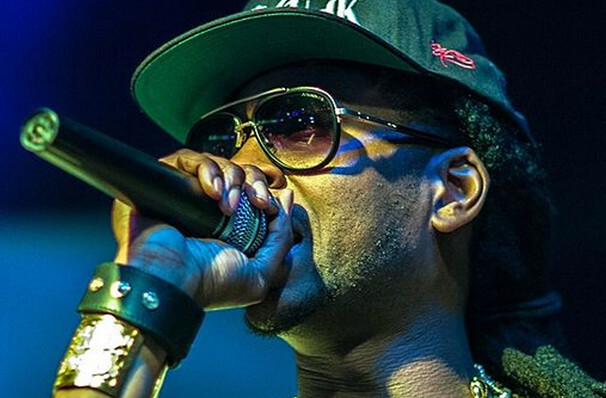 Widely acknowledged as one of the most in-demand collaborators in hip hop, Georgia rapper 2 Chainz has turned the guest verse into an artform, popping up on smash hit after smash hit. Alongside landing verses on Kanye West's 'Mercy' and Nicky Minaj's 'Beez In A Trap', he built a stellar solo career championing southern trap, innovating and introducing the genre to the mainstream through albums including 'ColleGrove', 'Pretty Girls Like Trap Music' and 'Rap or Go To The League'. Claiming his title as the bonafide King of Trap, 2 Chainz hits the Fox Theater Detroit for one special night only, alongside trap acolytes E-40, the prolific Bay Area rapper and founder of legendary hip hop outfit The Click, fellow southern gangsta rapper Plies, of 'Shawty' and 'Hypnotized' fame, and 'Yes Sir' hitmaker Young Dro. Sound good to you? Share this page on social media and let your friends know about Kingz Of Trap - 2 Chainz, E-40, Plies at Fox Theatre. Please note: The term Fox Theatre and/or Kingz Of Trap - 2 Chainz, E-40, Plies as well as all associated graphics, logos, and/or other trademarks, tradenames or copyrights are the property of the Fox Theatre and/or Kingz Of Trap - 2 Chainz, E-40, Plies and are used herein for factual descriptive purposes only. We are in no way associated with or authorized by the Fox Theatre and/or Kingz Of Trap - 2 Chainz, E-40, Plies and neither that entity nor any of its affiliates have licensed or endorsed us to sell tickets, goods and or services in conjunction with their events.